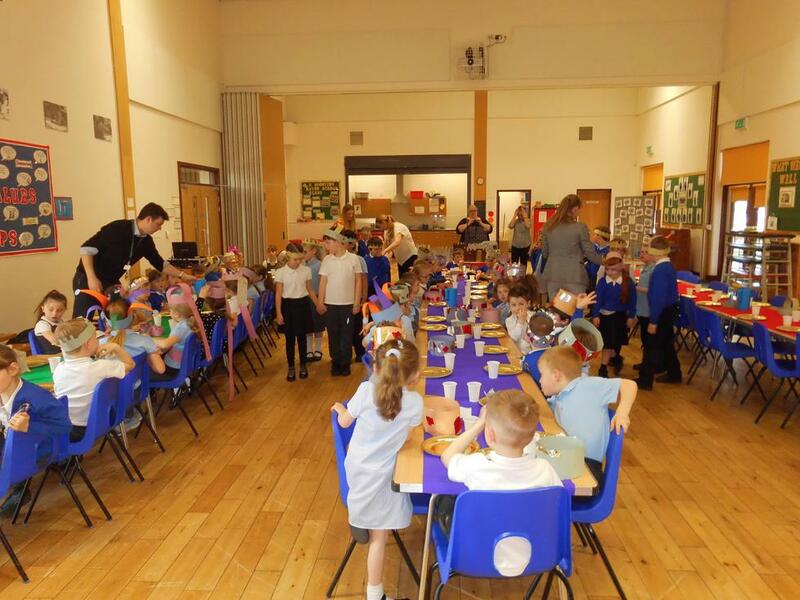 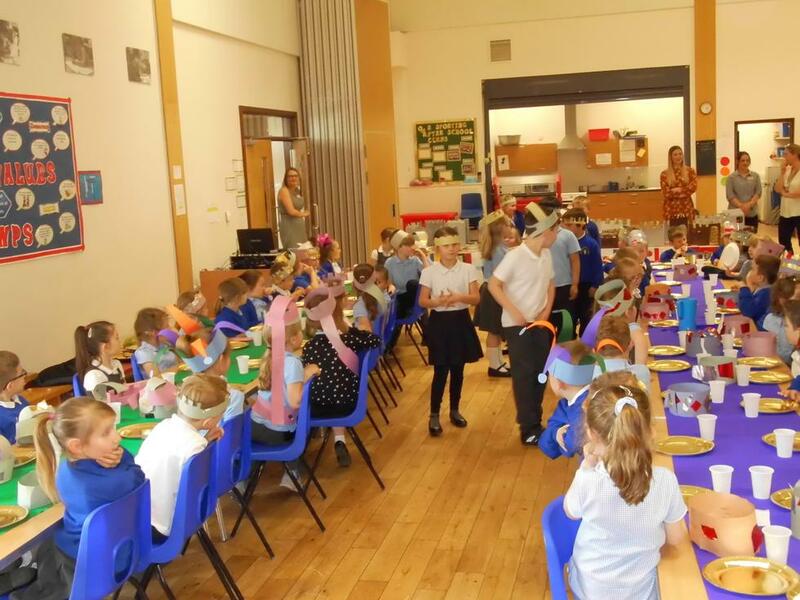 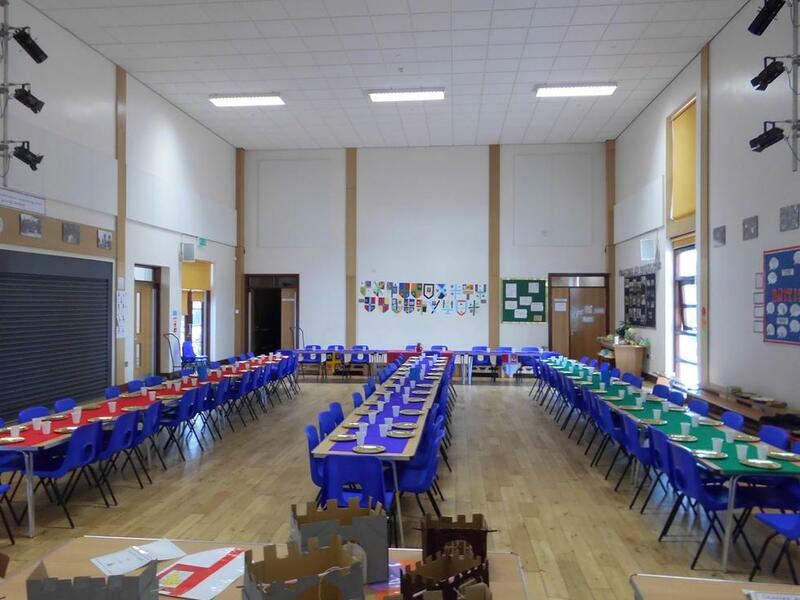 At the end of this term all of KS1 celebrated our castle topic and had a banquet. 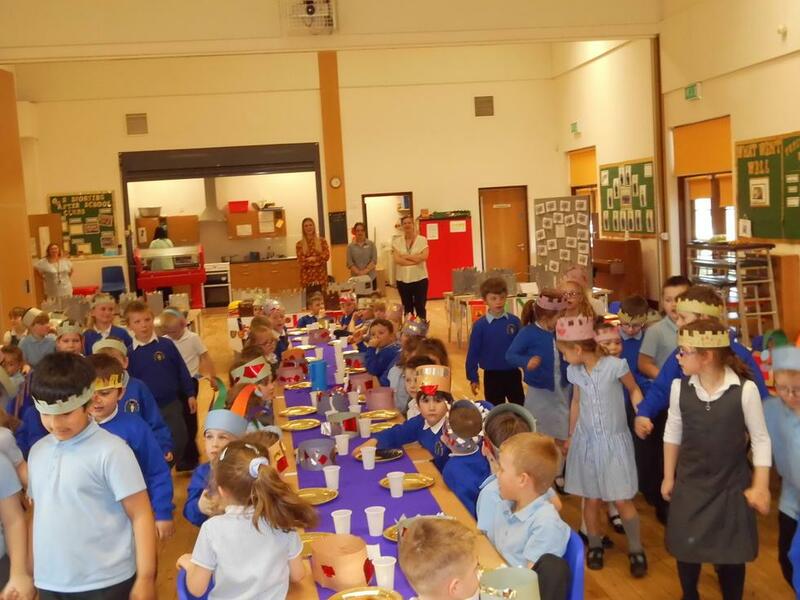 We chose a King and a Queen and some lords and ladies. 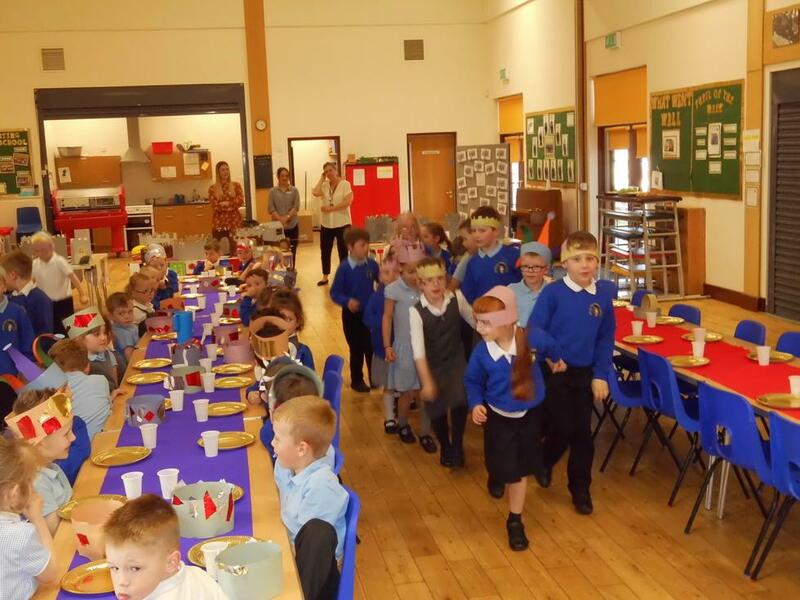 Then when we had all taken our seats we chose some servants to wait on their guests. 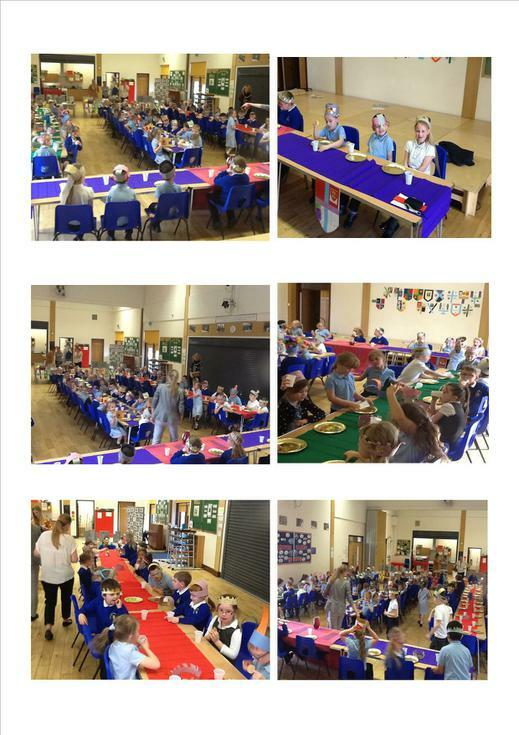 We all enjoyed some plain crackers, cheese, grapes and juice. 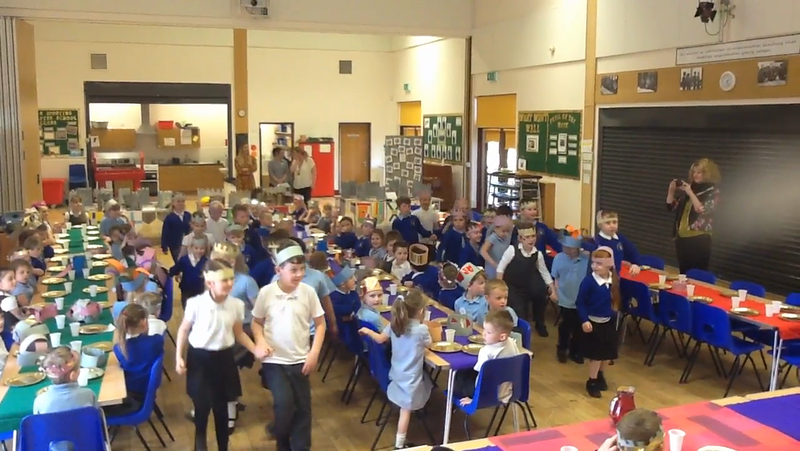 For entertainment 1/2B performed a medieval dance routine, it was fantastic. 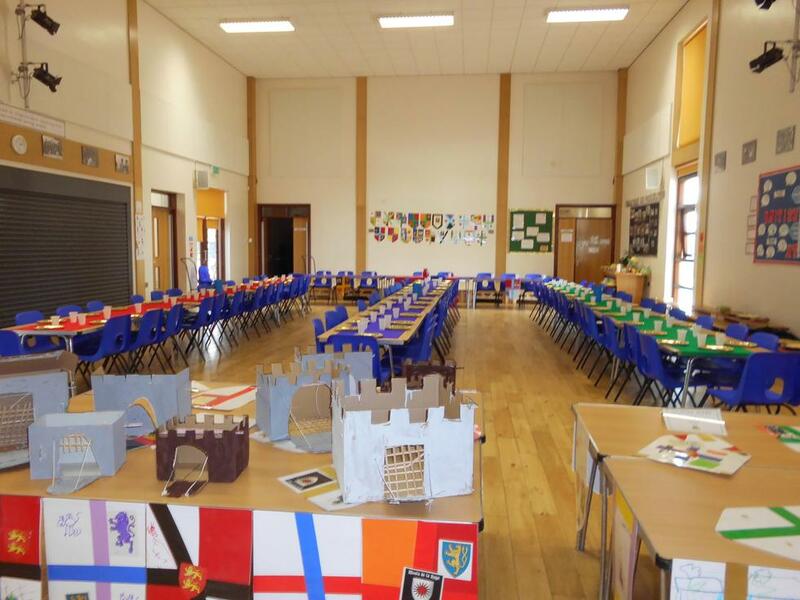 Then at the end all the mums and dads were able to come in and look at all our fantastic castles we had built.